The need to produce content in marketing has grown so foundational that you can’t really get through a day without hearing about it, reading about it and perhaps stressing out about it. Marketers are beginning to think and act more like publishers and are producing, curating and repurposing content like never before. Really smart marketers are snapping up journalists as key members of their marketing teams. But, if marketing content is to become the essential element that it must become in your business, you need to view its production from a strategic point of view. You may indeed need more content, but you certainly need content that addresses every one of your base business objectives and you need to view the editorial calendar of sorts in this strategic light. In other words, you need content for every aspect of the customer life-cycle and you need to stage that content in something I call the Marketing HourglassTM. 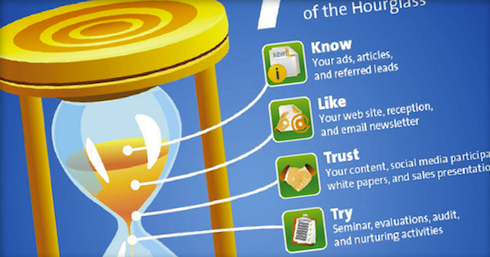 The hourglass acknowledges the fact that your job as a marketer is to get someone with a need to know, like and trust you and that you then need to plan to turn that know, like and trust into try, buy, repeat and refer – and that each of these stages must address a prospect’s evolving relationship with your organization. In other words, you need to plan to walk with someone that comes to know about your business all the way down the path to where they become a fan and volunteer member of your sales team. One of the best tools in the hourglass arsenal is content. One of the best ways to employ content in a strategic manner is to match different kinds of content with the stages of the hourglass and customer life cycle. The key element here is blog content created on a narrowly defined set of keyword phrases and topics. One of the best ways to become known is through organic search. This phase would also include advertising that draws awareness to other, more advanced forms of content such as eBooks and seminars. In many businesses a referral introduction is the first exposure that someone gains to an organization. This calls for content that is geared towards this type of exposure and specifically acknowledges your referral process. An eNewsletter can be a tremendous content tool for nurturing during the like and trust building phases as it allows you to demonstrate expertise, knowledge, resources, and experience over time. A series of blog posts around a specific topic turned into an eBook or email series is another great content play that helps tell your story. Once you’ve gained attention you must move towards that all-important next step. We will buy products we simply like, but we’ll rarely commit to organizations unless we trust them. Your customer generated videos, case studies and stories make great content here. Your SEO efforts (others trusting and linking to your content) and Social Media participation comes into play in the trust phase. Getting your customers involved in the content creation game is an essential element and one that many are happy to be involved in. The ability to tell why your organization does what it does in stories that illustrate purpose in action is perhaps the key trust building content piece of the puzzle. Try is a phase that many people skip, but I think it’s the easiest way to move people to buy, particularly in highly competitive and highly priced situations. Here the content needs to represent a sample of the end result. This is where eBooks, online and offline seminars and evaluation type processes in the form of content shine. Many people miss this point but this is an audition and it’s where you need to deliver more than anyone could possibly consider doing for a free or low cost version of what you sell. This is one of the first places where you plant the seed for a referral as well as a sale. By producing content in the try phase that clearly demonstrates how much better your paid product or service is than most, you can differentiate your business and create evangelists out of those that don’t ever buy. How to content in the form of videos, workbooks, examples, cheat sheets and checklists – the kind of stuff your competitors are charging real money for – is the stuff that the try phase in built on. Content that converts consists of proof. You must be able to show real results, customer stories and clearly cast your buyer into the future receiving the promised results. Many people miss the idea of content during just after the buy phase because the thinking is that the person has already made a decision and the product or service will speak for itself. The total customer experience is measured by the end result, not the build up to the sale. In order to deliver a remarkable customer experience you’ve got to continue to educate with content. Creating content that acts as a new customer kit or orientation to your business or product is the first step. 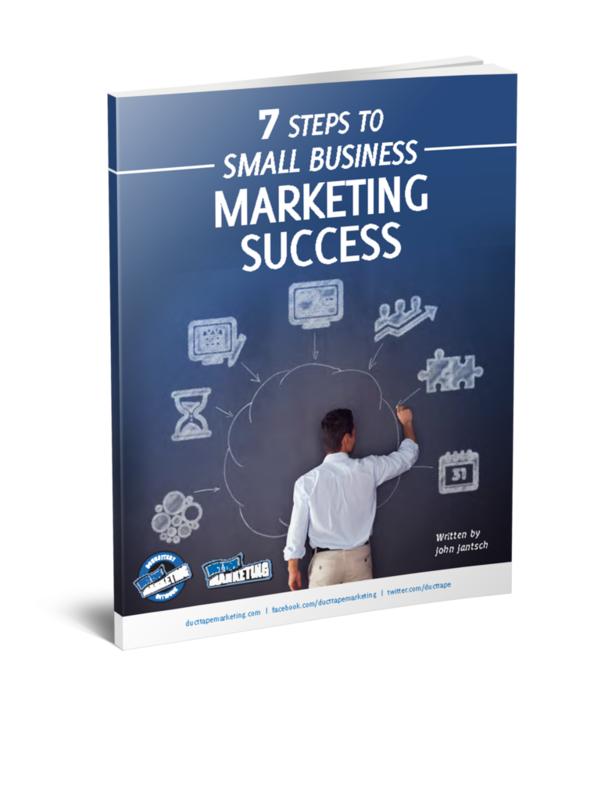 Most businesses should also consider quick start guides, in-depth user manuals and customer support communities. You can easily build this kind of content with your customers using services such as Get Satisfaction or Zendesk. Don’t wait for your customer to call you when they need something, stay top of mind through content that educates at a higher lever. Use email and print to start to share how others have gotten more advanced results with your products or services. Create customer events that have a content sharing component. Create a results review process where you help your client measure the results they are actually getting by working with your firm and use this process to capture content in the form of success stories. Start this phase by documenting your referral process. Create tools that make it easy for you to teach your rabid customers and strategic partners how to refer you. Create eBooks, videos and teaching events and offer them to your strategic partners to cobrand and present to their clients. Work with a team of best of class providers (the folks that can help your clients get everything they need) and create a team blog. Create and acquire content that makes it easy for you to introduce your partners and gives them plenty of incentive to do likewise. You don’t have to do all of your content creation from scratch either – there are many ways to effectively use other people’s content as part of the overall picture. Content creation is the hardest job of a marketer these days but when you plan your content with your hourglass in mind it may well be the highest payoff work your can do.